This is the scene of the murder. 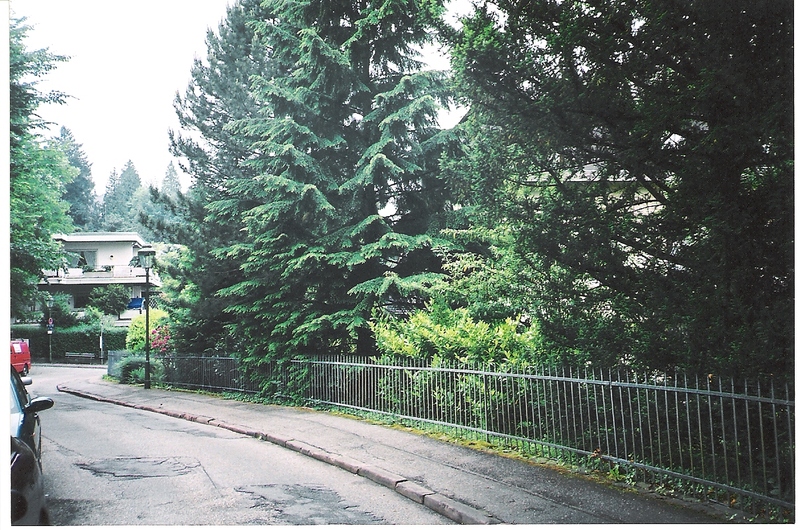 Kaiser-Wilheim-Strasse, Baden-Baden. The picture looks in the direction Frau Molitor and Olga Molitor were walking and is taken from the spot where the shot was fired. The murder scene again, taken from the opposite side. 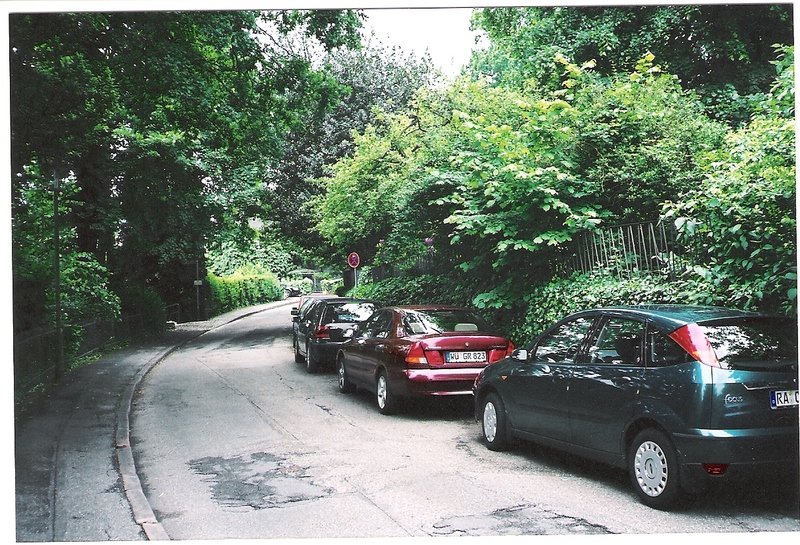 Frau Molitor was hit by the bullet where the two cars in the foreground are parked. In the distance on the left side (where the post with the little white sign stands) the steps leading down to the River Oos. 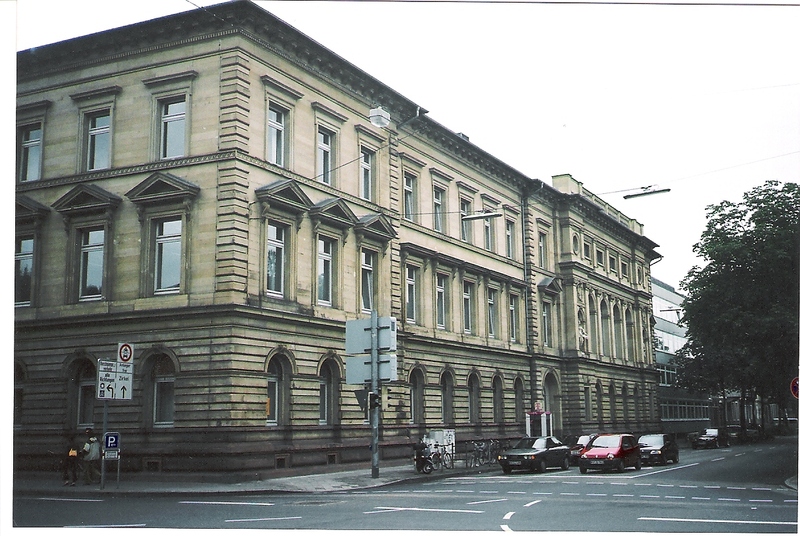 These two pictures show the Landgerich at Karlsruhe, where Carl Hau's trial was held. 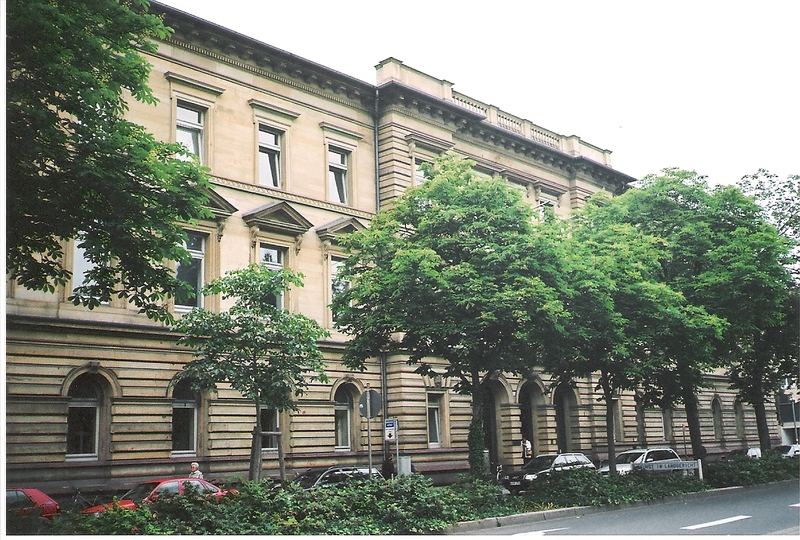 It was called the Grossherzogliches Schwurgericht at the time. I believe the courtroom was on the first floor at the corner of the picture on the right. 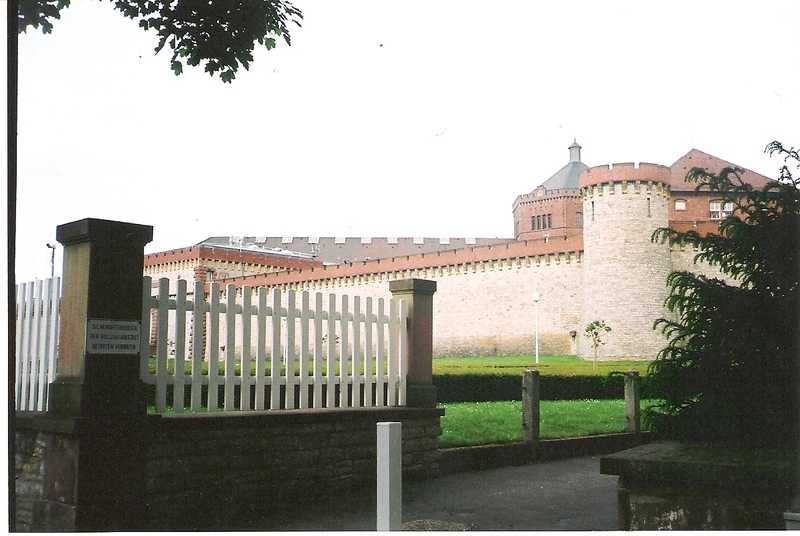 The jail at Bruchsal, where Carl Hau was imprisoned for 18 years. 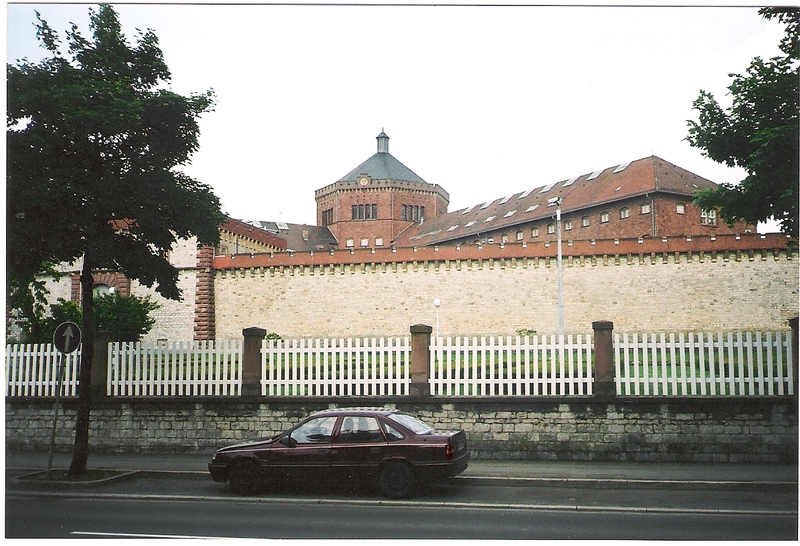 It is a massive building from the mid-19th century, in the form of a star, and is still used as a prison today. 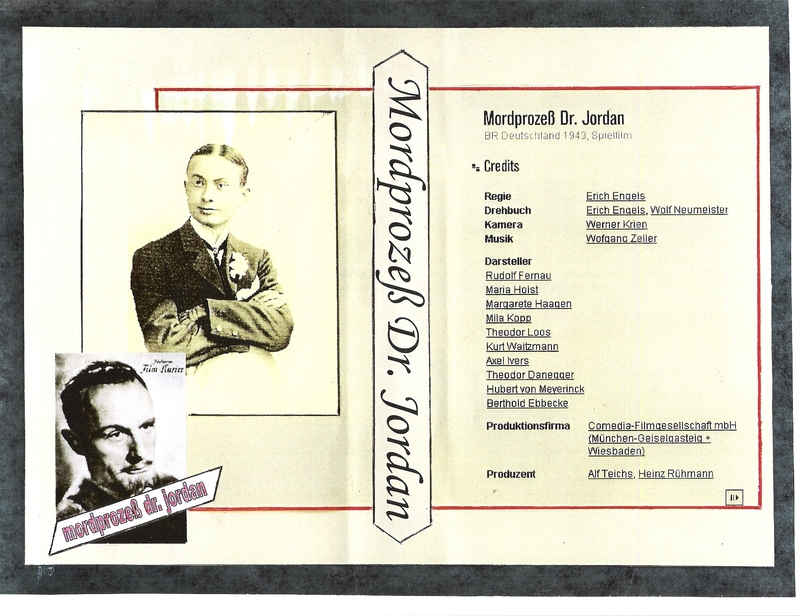 This is the VHS cover of the 1949 German film Mordprozess Dr. Jordan, first shown on October 27, 1949. It was produced by Comedia Films, established by the German actor Heinz Ruhmann. The film follows the Carl Hau case closely, although there were some date and name changes (1906 to 1912, Hau to Jordan and Molitor to Leborius) and the scene of the murder was changed from Baden-Baden to Wiesbaden in an effort to generate publicity for the film company which was based there. 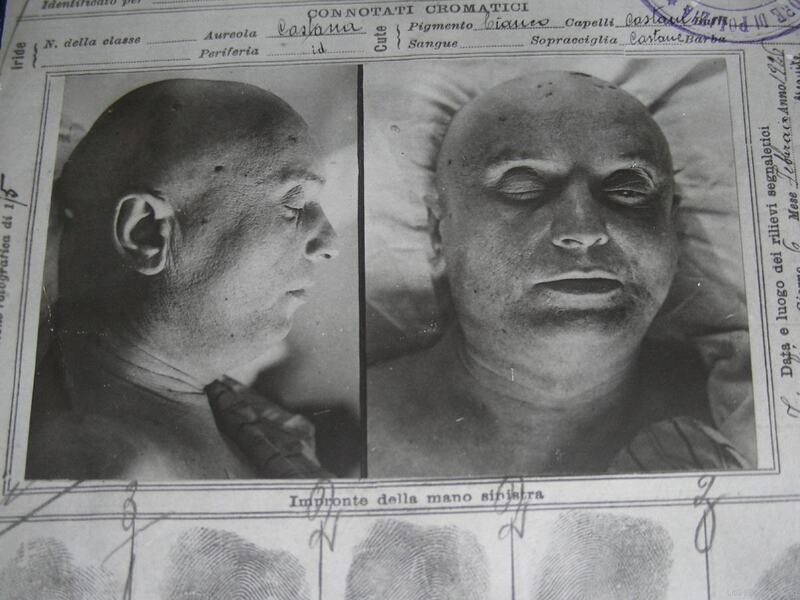 There are some fictional parts, such as the meeting of Jordan (Hau) and Leonie Leborius (Olga Molitor), who is married and living in Italy. There is also a scene when Jordan (Hau) meets his teenage daughter after his release from prison and wants to tell her the truth, but she is living happily with a wealthy family and so he keeps his secret. The film cover has a photo of Carl Hau and Rudolf Femau, the actor who played him in the movie.